Wild weekends: how much do you really spend? Unsurprisingly, the biggest drain on Sarah's budget was alcohol. After pencilling in a reasonable £20 for drinks, the party vibe got the better of her, resulting in an overspend of £30 in just a few short hours. If you want to avoid following in her footsteps and keep your spending down, steer clear of the dubious tradition of buying drinks in 'rounds' and setting yourself a more reasonable budget. If you're guilty of abusing your credit card after a drink or two, try leaving the plastic at home and limiting yourself to the cash in your wallet instead - this is the perfect way to keep you on budget for your next night on the town. You should also stay on the lookout for value at the bar - don't be tricked into paying a premium for Grey Goose when cheaper options are on the cards. Next up were club entry fees. While Sarah was attracted to the dozens of discount offers advertised across the likes of Facebook and Twitter, the reality was a little different, especially when it came to peak times. Offers of £5 entry were quickly replaced with a full £15 fee after 11pm, hiking up her overall spend and busting her budget by 300%. If you're planning to take advantage of these offers, it's always best to read the small print first, and make sure you arrive on time. 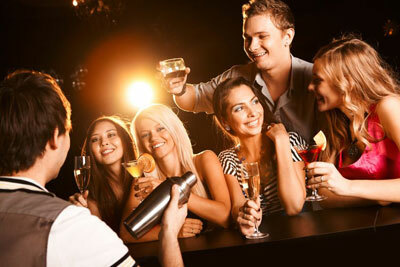 Avoid clubs that require minimum drinks spends, and if you're going with a large group, try to steer clear of any venue offering table deals - these often end up costing far more than you would usually spend, and should be reserved for truly special nights out. Despite her noblest intentions (and efforts to line her stomachs with carbs before heading out), like many of us, Sarah still ended up feeling ravenously hungry after her big night out on the tiles. She may have predicted spending absolutely nothing on food, but the true view came in at £7, with chicken shops and kebab houses luring her (and plenty of others) in on the way home. While this is still fairly cheap, all these small costs add up. Hunger pangs might be inevitable, but you can always save money by waiting until you get home and indulging in budget-friendly cheese on toast instead. The taxi home was Sarah's final budgeting downfall, after her £10 allocation morphed into a £35 blowout. Hailing a black cab off the street (or worse, an unlicensed minicab) is a fast-track way to parting with ridiculous sums of cash, especially in the early hours of the morning. A much smarter, safer and cheaper way to get home is to pre-book using a service like Addison Lee, who also offer a handy smartphone app. Splitting the cost with friends can often save you a bundle - and means dodging the dreaded night bus. If your nights out are spiralling out of control, check out the free Money Dashboard budgeting software and see how much you're really spending.